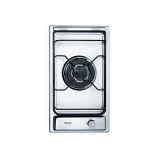 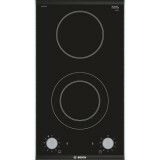 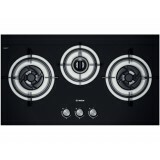 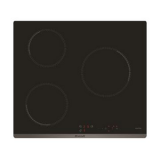 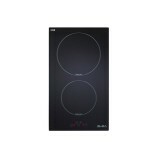 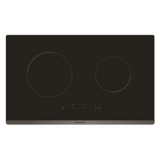 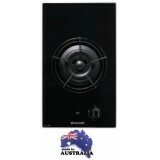 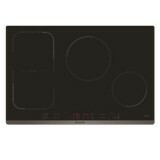 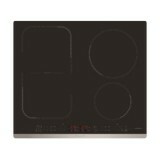 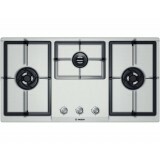 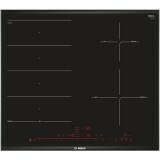 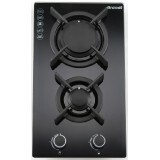 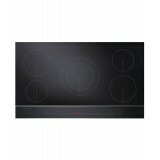 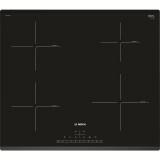 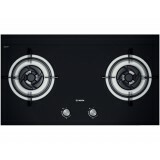 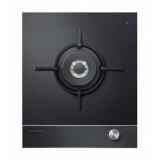 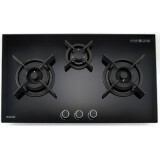 Brandt 30cm 2 Zones Gas Hob TG1120B Features • Tempered glass • 30cm • 2 cooking zones • Cast iron grid supports • Thermocouple safety device Control panel • Knob control with igniter Elec..
Brandt 30cm Single Zone Gas Hob TG1431B Features • 30cm Gas Hob • Tempered Glass • Brass Burner • Triple Ring Burner – 4.5kw • Battery Ignition (Size D battery) • Frontal Knob Control • Cast Iron Grid &bul..
Brandt 30cm 2 Zones Gas Hob TG1432B Features • 30cm Gas Hob • Black Tempered Glass • Brass Burners • Top: Triple Ring Burner – 2.5kw • Bottom: Triple Ring Burner – 2kw • Battery Ignition (Size D) • Frontal Knobs Co..
Brandt 80cm 2 Zones Gas Hob TG1482B Features • 80cm Gas Hob • Black Tempered Glass • Brass Burners • Left: Triple Ring Burner – 4.5kw • Right: Triple Ring Burner – 4.5kw • Battery Ignition (Size D) • Frontal Knobs ..
- Cooking with convenience This hob is equipped with 3 different gas burners for every situation, including an auxiliary gas burner of 2000W for slow and gentle cooking or small cooking pans - Easy to use No need for matches or lighters: easy and convenient electronic ign..
Brandt 90cm 3 Zones Gas Hob TG1493B Features • 90cm Gas Hob • Black Tempered Glass • Brass Burners • Left: Triple Ring Burner – 4.5kw • Right: Triple Ring Burner – 4.5kw • Centre: Semi-Rapid – 2kw • Battery I..
- Cooking with convenience This hob is equipped with 2 different gas burners for every situation. 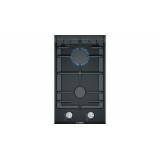 - Easy to use No need for matches or lighters: easy and convenient electronic ignition with single-handed operation. 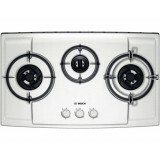 - Safe cooking ..
- Cooking with convenience This hob is equipped with 3 different gas burners for every situation, including an auxiliary gas burner for slow and gentle cooking or small cooking pans - Easy to use No need for matches or lighters: easy and convenient electronic ignition with single-ha..
- Cooking with convenience This hob is equipped with 3 different gas burners for every situation, including an auxiliary gas burner for slow and gentle cooking or small cooking pans - Easy to use No need for matches or lighters: easy and convenient electronic ignition wit..
• 2 Induction cooking zones Rear Ø 200mm 2300W - booster 3000W Front Ø 160mm 1200W – booster 1400W • Sensor touch control • 9 cooking positions for each cooking zone • Safety child lock key • Built in..
• 3 Induction cooking zones Front Left Ø 200mm 2300W - booster 3000W Rear Left Ø 160mm 1200W - booster 1400W Right Ø 250mm 2300W - booster 3000W • Slider touch control • 9 cooking positions f..
• 1 Gas burner 1 Triple ring burner - 3.50kW • Electric ignition • With flame failure devices • Easy to reach front controls • Enamelled pan supports • Enamelled wok stand .. 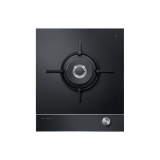 Features: • 2 Gas burners 1 Rapid burner - 3.00kW 1 Semi-rapid burner - 1.75kW • Electric ignition • With flame failure devices • Easy to reach front controls • Enamelled pan supports ..
• 3 Gas burners 2 Triple ring burners - 3.50kW 1 Semi-rapid burner - 1.75kW • Battery ignition (Size AA) • With flame failure devices • Enamelled pan supports • Enamelled wok stand ..
• 4 Gas burners 1 Triple ring burner - 3.50kW 2 Semi rapid burners - 1.75kW 1 Auxiliary burner - 1.00kW • Battery ignition (Size AA) • With flame failure devices • Enamelled pan supports • Enamelled..
• 4 Gas burners + 1 Hotplate 1 Triple ring burner - 3.50kW 2 Semi rapid burners - 1.75kW 1 Auxiliary burner - 1.00kW 1 Hotplate Ø 145 mm - 1000W • Electric ignition • With flame failu..
• 4 Gas burners 1 Triple ring burner - 3.50kW 2 Semi-rapid burner - 1.75kW 1 Auxiliary burner - 1.00kW • Electric ignition • With flame failure devices • Easy to reach front controls • Cast iron pan..
• 3 Gas burners 1 Dual burner - 4.2kW 1 Triple ring burner - 3.80kW 1 Auxiliary burner - 1.00kW • Electric ignition • With fame failure devices • Easy to reach front controls • Cast iron pan support.. 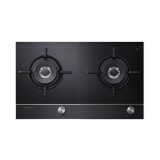 Traditionally we cook by generating heat from one source, such as a flame, and conducting it to another. 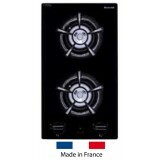 The Fisher & Paykel Induction Cooktops work on a different principle. 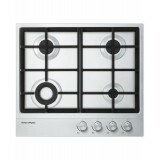 The cooktop itself produces an electromagnetic field which induces the pot or pan to generate its own heat. 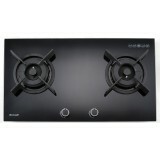 The result.. 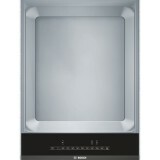 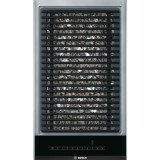 The frameless, black glass, accented with a stainless steel strip is just one of the reasons the Fisher and Paykel Gas on Glass cookop is the ultimate in premium quality. 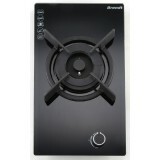 From a powerful wok burner to an extremely low simmer burner, this cooktop lets you create mouth watering dishes with ease. 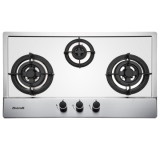 To..
As part of a modular family of kitchen appliances, this 60cm 4 Burner Gas on Steel cooktop is designed using premium quality materials with a formed polished trim that will signify this range of everyday premium product. 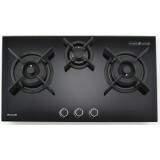 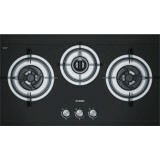 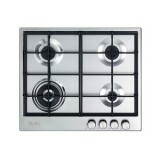 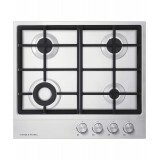 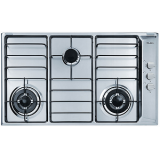 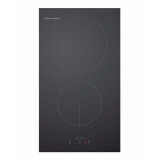 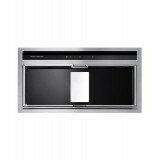 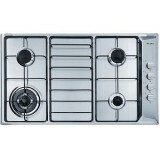 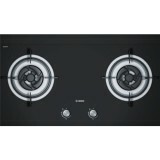 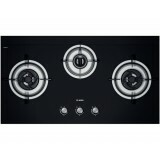 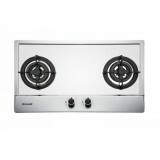 Precision of latest burner technology with elegant stainless steel controls,..
As part of a modular family of kitchen appliances, this 90cm 5 Burner Gas on Steel cooktop is designed using premium quality materials with a formed polished trim that will signify this range of everyday premium product. 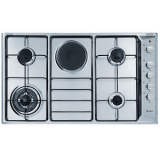 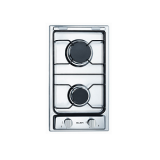 Precision of latest burner technology with elegant stainless steel controls,..
Sized to Suit IT MEASURES Width 530 mm Height 352 mm Depth 280 mm .. 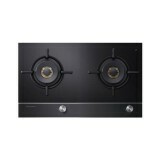 Traditionally we cook by generating heat from one source, such as a flame, and conducting it to another. 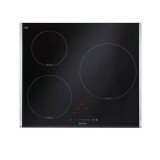 The Fisher & Paykel Induction Cooktops work on a different principle. 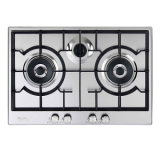 The cooktop itself produces electromagnetic vibrations, which induce the pot or pan to generate its own heat. 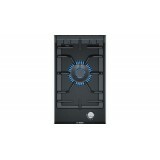 The resu..